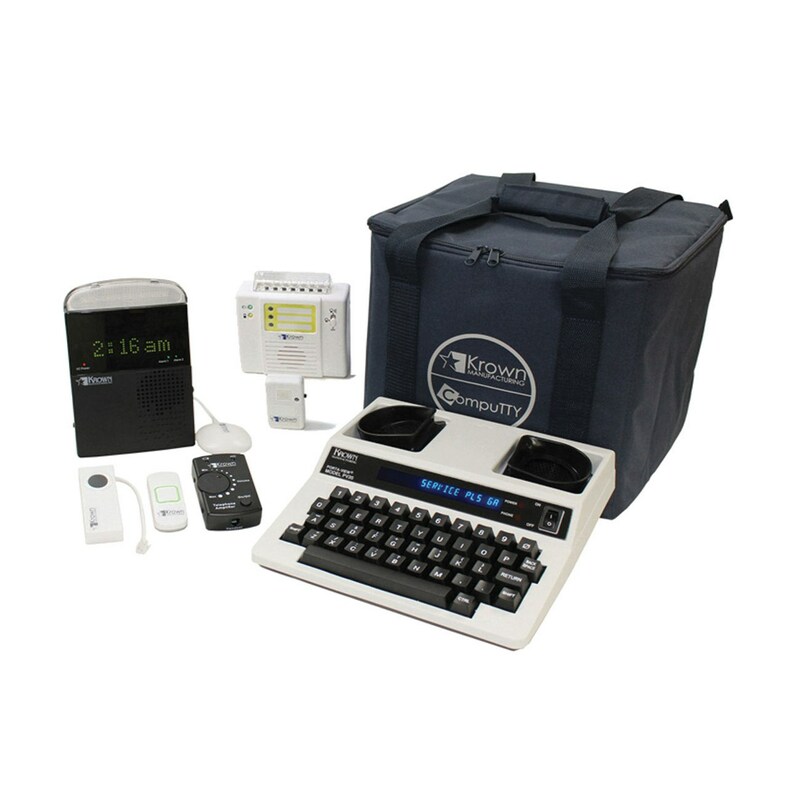 Our ADA Compliance Deluxe Kit is all you need to meet the current ADA communication access requirements. The Deluxe Kit is simple to set up and easy to use. The All-in-One Notification System includes an Alarm Clock with Bed Shaker, a Doorbell transmitter and a Visual Telephone Signaler. Your guest will never miss a wake-up call, a visitor at the door or a phone call. The notification system also allows your guest to call the front desk or your local relay service to make outgoing calls. All Krown TDD's are compatible with analog, digital or VOIP. Our best-selling telephone amplifier allows your hard-of-hearing guest to adjust the volume and high frequency sounds to a desirable level. Our KA300SD is a visual emergency notification system used as a bridge from the hotel's existing built-in fire alarm to the strobe and sound receiver placed in your hearing-impaired guest room. When activated anywhere in your hotel, the transmitter sends a wireless signal to the strobe and sound receiver to notify your guest of an emergency. The KA300SD system installs in minutes without the cost of re-wiring the building. The hotel can permanently install these items. This is a must-have!